Take the fun and joy of Disney Frozen along with Disney Frozen Sister Forever Pencil pouch, attracti..
Nuby No Spill Insulated Soft Sipper with its colorful twoinone cup design not only keeps liquid fres.. 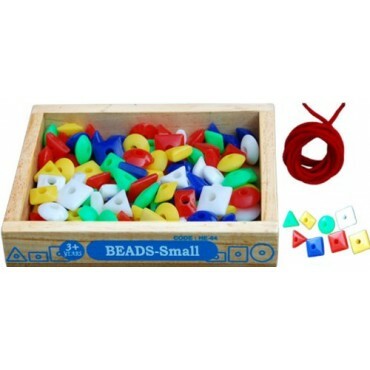 Perfect for developing counting , sorting, & eyehand coordination skills. Includes 100 beads in 4 shapes , circle, square, rectangle and triangle in 5 colours with 1 lace.